Marine debris art exhibit displays impact of plastic pollution. 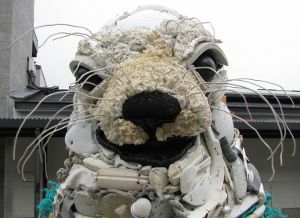 via Marine debris art exhibit displays impact of plastic pollution | Going Green, Saving Green, Being Green. This entry was posted in zero waste and tagged art plastic, artplastic, eco art, marine, marine plastic pollution, plastic, plastic breakdown, plastic free; plastic; reuse; refuse;, plasticart, plasticplanet, toxic, zero waste. Bookmark the permalink.